There are a lot of contenders in the smarthome space, but one of the more established brands is Fibaro. The brand is a member of the Z-Wave Alliance, which means that their devices can work with other Z-Wave technologies. This year, the company is showing off upgraded models of their modules, which now support Apple HomeKit. Fibaro is far from the first to support HomeKit, but the company takes a slightly different approach to smarthome, though, with product designs that are a bit more whimsical that your standard white boxes. Take, for example, the Wall Plug. It features the traditional remote switch with the addition of energy monitoring and a USB port. The design differentiator, though, is that the device comes with a glowing ring around the outside. This ring, while making the product look very different, it also gives you an idea as to how much power the plug is using. Another example of the whimsical design is The Button. It does what you would expect - gives you the ability to create a panic scenario or a scene changer. In fact, there are 6 modes to the button: single through 5 press, as well as long-press. Again, the differentiator here is the very unique design. This small device comes in a variety of colors, some being very primary and bright. They are definitely not designed to blend into the room they are in. 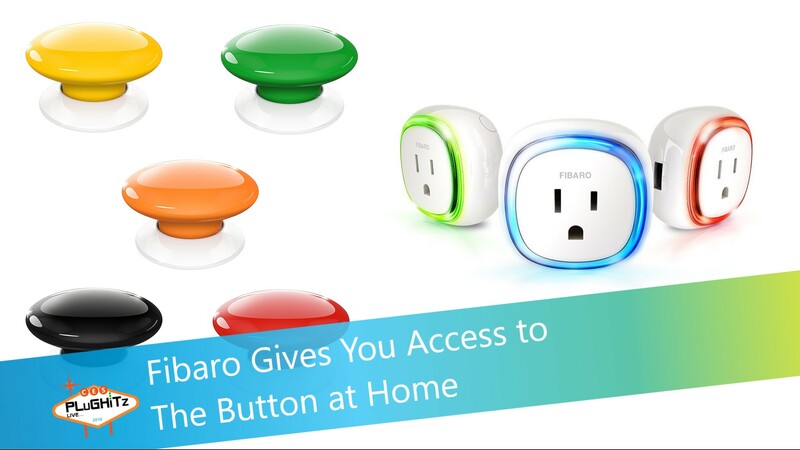 The Wall Plug is available for $59, The Button is available for around $49, depending on the color, and additional Fibaro smarthome products are available for varying prices.